© Photo: iStock A more "intensive" style of parenting is being linked with better outcomes for kids. Hovering parents are doing something right. We’ve all seen them. The parents who enroll their kids in six different extra-curricular activities a week. Who shout directions from the sidelines of the soccer field. Who hover over their children while they finish their homework. Roll your eyes if you’d like and call them helicopter parents or tiger moms or lawnmower parents—but all that over-parenting pays off. That’s the gist of new research by economists Matthias Doepke of Northwestern University and Fabrizio Zilibotti of Yale. In their just-released book, Love, Money and Parenting: How Economics Explains the Way We Raise Our Kids, the two argue that an “intensive parenting style” leads to better outcomes for kids. The researchers analyzed several different data sets and studies to reach their conclusion. First, they examined the results of the 2012 PISA, an international academic test of 15-year-olds, along with reports from the teenage participants on how they interact with their parents. There was a correlation between the high-scoring teens and parents who were more intense—regardless of how educated the parents were themselves. And using data from a national study conducted in 1997 by the U.S. Bureau of Labor Statistics that followed teenagers and tracked their achievements, they found that kids of parents with an “authoritative” style were more likely to graduate from college and get graduate degrees. 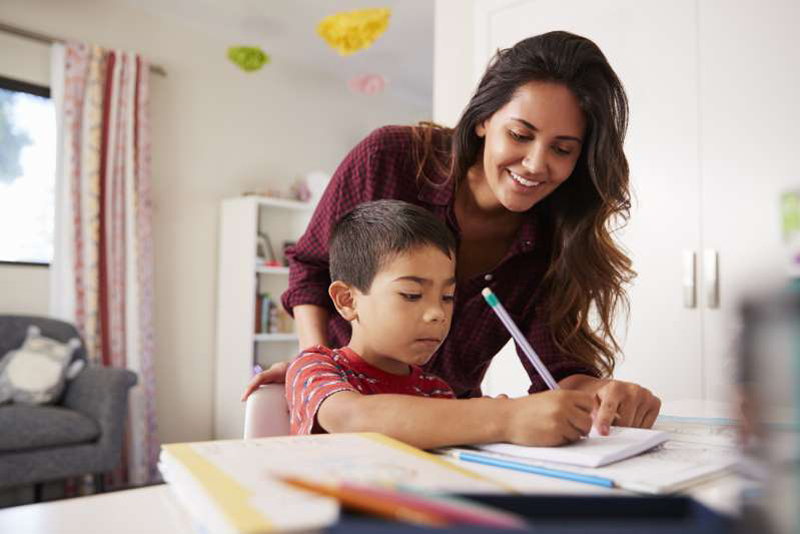 It was also reported in a 2010 British study in the European Sociological Review that the benefits of authoritative parenting go beyond the classroom. These children were found to also be healthier and have better self-esteem. While a hands-on authoritative parenting approach might be more effective and produce better outcomes for children, the authors found there are barriers like economic inequality that prevent many people from adopting this style. Interestingly, the authors suggest it's inequality itself that's driving more and more parents into the helicopter camp, Druckerman says. When inequality hit a low in the 1970s and there wasn’t that much of a gap between what someone earned with or without a college degree, moms and dads gravitated towards “permissive parenting,” giving children lots of freedom with little oversight. But as inequality began increasing in the 80s and college degrees became more valuable, parents began hovering in an attempt to ensure their kid's future success. "American parents eventually increased their hands-on caregiving by about 12 hours a week, compared with the 1970s," she explains. Of course, for working parents, keeping up with the helicopter parent next door is even more exhausting—which is why we'd do well to tackle inequality, Druckerman says. "Since there’s apparently no limit to how much people will do for their kids, the prognosis for parenting doesn’t look good. Yet another reason to elect people who’ll make America more equal: We grown-ups can finally stop doing homework."